Kappy’s prides itself on providing customers with an extensive selection of wines -- we are always looking to expand and diversify the products we carry. 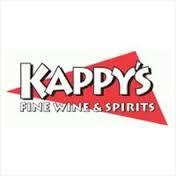 Kappy’s Fine Wine & Spirits stores are known as places where one can find great quality, inexpensive wines, as well as wines that are on the higher end of the price spectrum. From Friday night ‘pizza’ wines to cellar-worthy, special occasion wines, we stock thousands of choices at every price point. In addition to carrying Massachusetts’ largest number of name brand items, we also directly source hard to find wines and spirits, providing a terrific price/value option for our customers. It is not, however, just the wine category in which we excel. We maintain large craft beer and spirits selections at our locations. For decades, Kappy’s has been ahead of the curve when it has come to craft beer and boutique spirits, and our emphasis in those departments are always on full view.